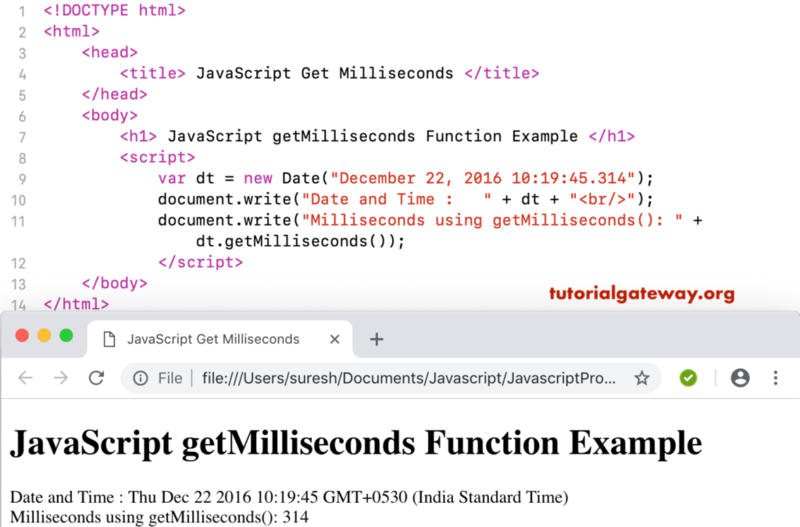 Here, we are using getMilliseconds to return the total number of milliseconds in the current date and time. This example returns the milliseconds from the custom date without Milliseconds (time). This will return 0 milliseconds.